Before: The old glass units showing definite signs of misting. 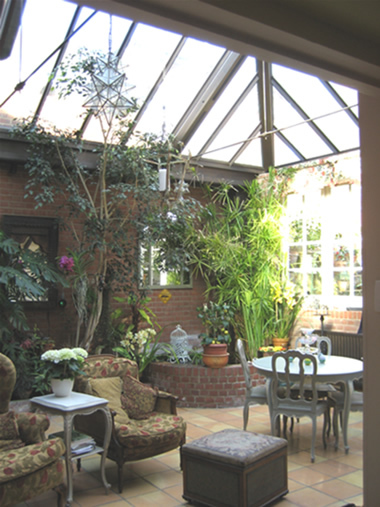 When one of the things that attracted you to your home is a magnificent two-storey conservatory, the last thing you want is for it to be too hot in summer and extremely cold in winter. 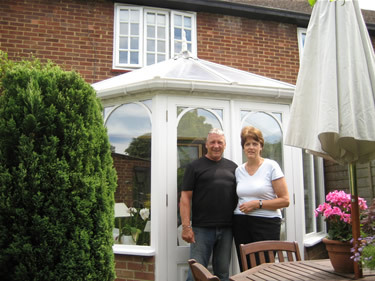 When Mr and Mrs Alexander bought their Kent home two years ago the conservatory was one of the deciding factors in buying the house. As well as being one of the most used rooms in their home, it has also been the setting for a drinks party for 50 guests. 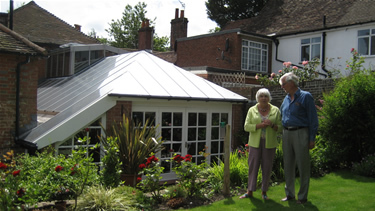 The problem was that the roof of the northwest-facing conservatory was constructed before safety-glazing regulations came in during the early 1980s. 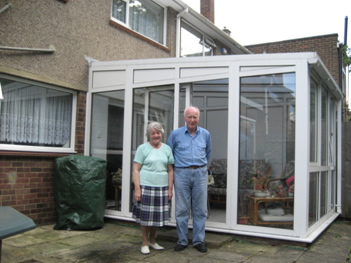 It had wired glass double glazed units to the inside with tempered glass to the exterior. Absorption of solar heat had led to thermal stress and the cracking of glazed units adjacent to the transverse roof supports. The outcome had been the breaking down of the units and their seals, with the glass becoming opaque, through leaching of the desiccant. The roof was not only unsightly; there was also a problem with leaks. 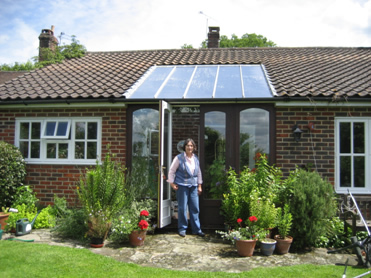 HTG’s solution was to install high-performance HTG double-glazed units with heat reflectors. This high-tech answer not only improves the look of the Alexander’s conservatory, it makes it cooler in summer and warmer in winter. 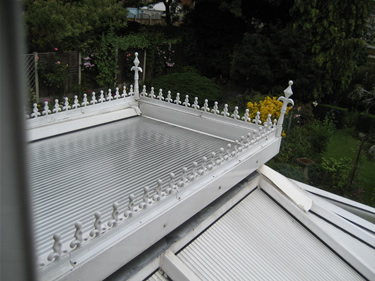 An added touch is thermostatically controlled roof-vents which respond to temperature or rain by opening and closing automatically to keep the conservatory, cooler, warmer or dry. 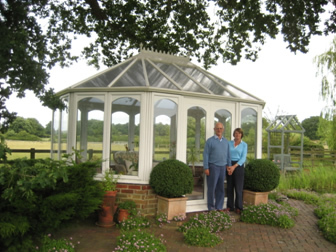 “Although the summers haven’t been the warmest on record since we have been here, we have noticed a difference in the temperature in the conservatory on hot days,” said Mr Alexander. 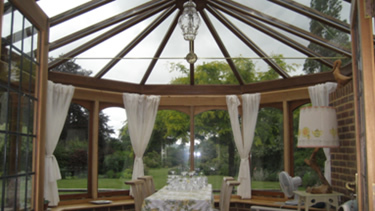 “With the previous roof even with two French windows and a door open to get air through it could be extremely hot in the conservatory. 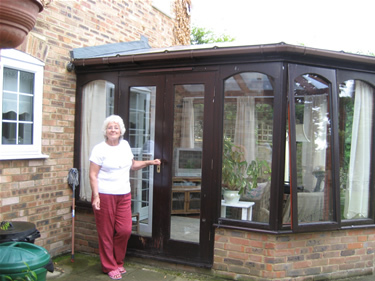 “The new roof has seen a drop in the temperature and it is much more comfortable to use the conservatory now. 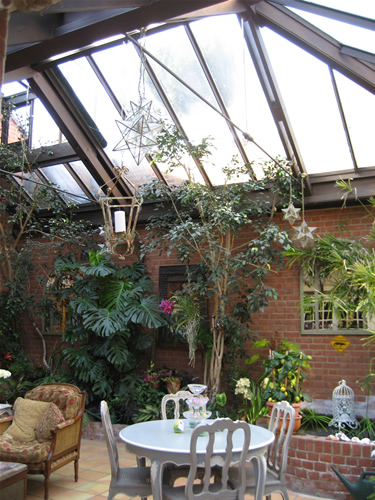 After: the refurbished conservatory looks fantastic. “We use the room a lot between spring and autumn, but it took a lot to heat it during the winter especially as the roof is so high. It nearly reaches the roof of the house. “We have been told that it will be much warmer during the winter. We haven’t had the new roof long enough to experience that, but if the results we have experienced during the summer with a reduction in temperatures is anything to go by – we are hoping it will be more efficient. 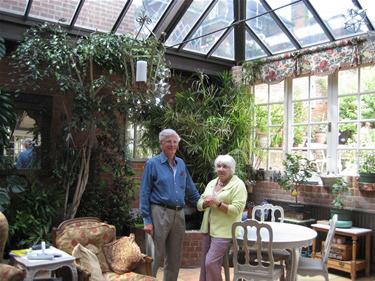 “We have two large Swiss cheese plants and several house plants in the conservatory, which have appreciated an atmosphere which isn’t so dry and scorching. “The look of the conservatory has been vastly improved. The old roof was in a bad state, old-fashioned glass panels had wire in the middle and some were cracked. “When it came to having the job actually done, HTG’s staff was extremely pleasant and the organisation was very good.